Every April, Yuri’s Night parties and events are held around the world to mark Yuri Gagarin becoming the first human to venture into space (April 12, 1961) and the inaugural launch of the space shuttle 20 years later. 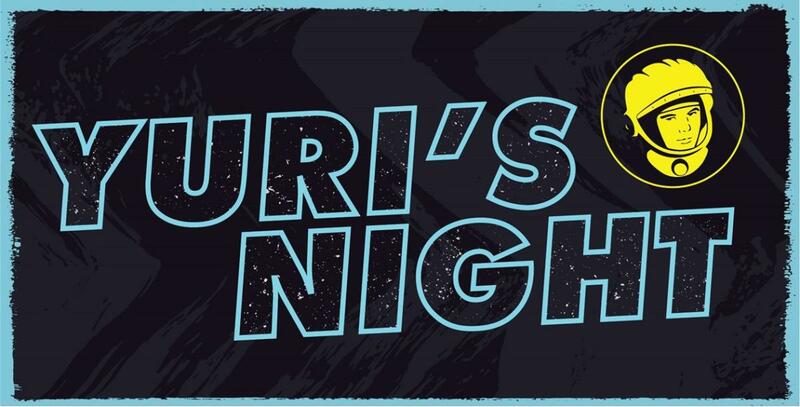 This year the Museum joins the global celebration of humanity’s past, present, and future in space with its first Yuri’s Night bash on April 14! Yuri’s Night at the Museum is a 21+ dance party with music, smarts, tech and arts. The 7-11PM event will offer a cash bar, food trucks, aerospace guest stars and dance music provided by Noise Complaint. Activities will include VR experiences, roaming robots and a contest for the evening’s best space-themed attire from fact or fantasy. All of this in Seattle’s most celestial place—the Museum’s towering space gallery, surrounding the Space Shuttle Trainer, Soyuz spacecraft and today’s New Space ventures.